Telecommunications giant Huawei is one of a handful of Chinese consumer brands to have expanded beyond its vast domestic market to build a reputation on the global stage, and as president of global media and communications, Joy Tan leads a diverse team of communications professionals across the globe focused on promoting the company’s innovation and best practices. Her efforts have helped the privately-held company become one of China’s most powerful world players—it overtook Sweden’s Ericsson to become the world’s largest telecoms-equipment-maker earlier this decade—and to overcome concerns about its Chinese origins to become a genuinely global force. She has worked to explain and promote the company’s unique leadership structure—three rotating CEOs—and distinctive, collaborative culture. Tan joined Huawei in 2007 and was senior director of marketing communications and vice president of corporate branding and communications before assuming her current role. 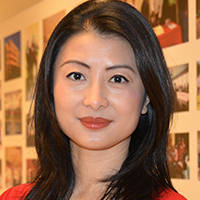 Prior to joining the company, she was director of operations at telecom company China Voice Holding Company and marketing manager at TXU Energy and Verizon. Can you share a moment in your career that you recognized PR's direct impact on business performance? We have used social media to grow consumer business in Southeast Asia. What are the industry's biggest challenges and opportunities?